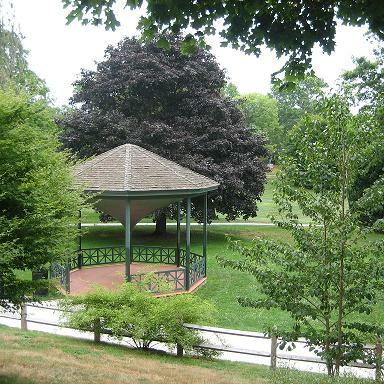 Owned and maintained by the Memorial & Library Association of Westerly, this 14-acre park has an arboretum-quality collection of tree species, monuments, perennial gardens, paved paths, and more – all nestled in the heart of downtown Westerly. This is a great place to visit in any season. Let your kids decide which way to go – you’re always within a short walk back to your car, the library, and restaurants and shops! Click here to visit the Wilcox Park website. 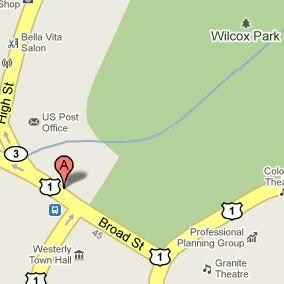 From Route 95 South, take Exit 1 (Westerly) and bear right onto Route 3 South. Travel 6 miles into Westerly, crossing a railroad bridge where there is a traffic light. Proceed straight less than 1/2 mile to a second traffic light and turn right. Wilcox Park is on the right. From Route 1 South, travel through Charlestown and Dunns Corners (Westerly). Continue to traffic light where Rte. 1 South bears left at Granite St. Take a left at the light and follow to traffic light at junction of Route 3. Continue straight through light and bear right onto Broad Street. Wilcox Park is on the right.